Active from Jan 2015 old aged Slots App with huge potential. Not spent a penny on Paid Ads Ever! 100% Organic. 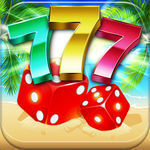 Best App Value in high demand casino/slots niche.